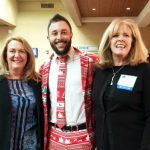 DMC Logistics has given generously both in dollars and time, to such organizations as The United Way and The Hemophilia Foundation of New Mexico. 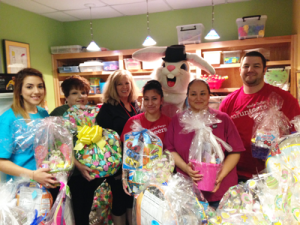 Each group is able to provide services to children, adults, and families in need. These programs, we believe, provide important benefits to affect a longer and healthier life. Now in our 33rd year in business, the company has long been an active supporter of programs and institutions whose goals include helping families live healthier lives and whose organizations and programs help build our economy and support the quality and development of emerging community leaders. In November 2012 The New Mexico Private 100 recognized DMC Logistics for its contribution to the economy of New Mexico by creating employment, providing opportunities, innovating in new technologies and helping our communities through charitable organizations. The program calls to attention the important contributions of private companies to the economy of New Mexico. Recipients are the cornerstone, the baseline for employment in New Mexico creating employment, providing opportunities, innovating in new technologies and helping our communities through charitable organizations. The New Mexico Private 100 also provides a forum for the opinions of key executives of these companies and serves as inspiration to other business owners and entrepreneurs throughout the state. A celebratory luncheon of the most successful privately held companies in the state of New Mexico – The New Mexico Private 100 – was held on November 6, 2013 with DMC Logistics again making this year’s list. Recognition calls to attention the important contributions of private companies to the economy of New Mexico. This year’s recipients were recognized for their accomplishment and significance to the state’s continued growth including the number of jobs they provide, over 10,777 people around New Mexico, and for a combined $4.4 billion in gross revenue. Though varying in missions and operations the line up demonstrates that all types of enterprises are flourishing in the state and share in bolstering the state’s economy. Recipients sharing this honor are the cornerstone, the baseline for employment in New Mexico creating employment, providing opportunities, innovating in new technologies and helping our communities through charitable organizations. With offices and agents also located in Arizona, Colorado, Nevada, Texas and Utah, our goal is to achieve similar impact in all the markets we serve. Steve Griego, President & CEO of DMC Logistics announces that the company is the recipient of the National Hemophilia Foundation Philanthropist Award for 2014. Awarded during the National Hemophilia Foundation Annual Conference held this September in Washington, D.C., the company was nominated along with 30 other entities for their contributions to individual chapters and the national organization as a whole. This is the second consecutive year DMC Logistics received the award. Griego and DMC Logistics were recognized in part for contributions and fund raising efforts associated with the foundation’s local chapter, Sangre de Oro, Inc.’s (SDO). DMC Logistics plays host as title sponsor for SDO’s Annual Caliente Classic Golf Tournament held each summer in Albuquerque, and has done so since its inception eleven years ago. The 2014 golf tournament held this August raised $62,000 to fund costs to send children with bleeding disorders and their families to a week-long summer camp, educating them all on this lifelong disorder. At Camp Valiente, participants are able to enjoy camp life and learn about managing life with a bleeding disorder, including how to self-infuse. SDO supports the hemophilia and bleeding disorder community in New Mexico and is the only organization in New Mexico for people with bleeding disorders. The organization provides services to over 200 families throughout the state by providing education, advocacy, financial, and emotional support. DMC Logistics Ranks #5 on Albuquerque Business First’s Hispanic Business List for 2014. Albuquerque Business First recently published its ranking for Hispanic-owned business ranking DMC Logistics at #5 based on 2013 revenue; Air affiliate Aerolynx, a provider of chartered passenger and freight services placed at #13. 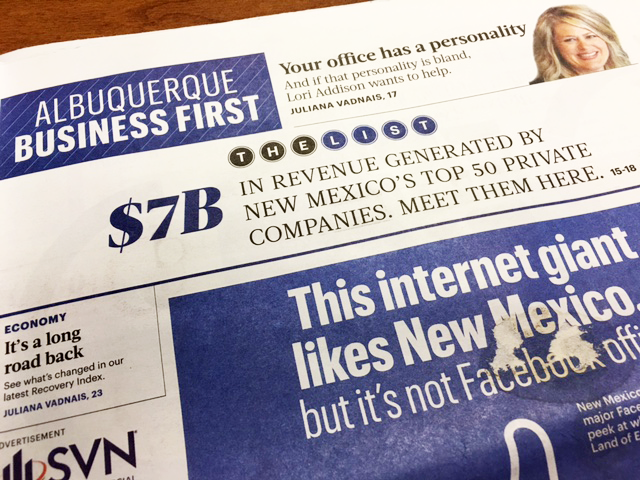 Albuquerque Business First is regarded as a leading media authority on business related news in New Mexico. 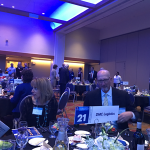 A celebratory luncheon of the most successful privately held companies in the state of New Mexico – The New Mexico Private 100 – was held on November 17, 2014 with DMC Logistics making this year’s list. The Private 100 originated in 1988 and resumed in 2012 after an eight-year break. This is the third consecutive year DMC Logistics made the list. Sponsored by Moss Adams, Bank of America Merrill Lynch, Modrall Sperling Law Firm, and the Albuquerque Journal’s Business Outlook, recognition highlights the diverse nature of New Mexico’s privately held companies and calls to attention the important contributions of private companies to the economy of New Mexico. This year’s honorees represent healthcare, technology and manufacturing sectors, the logistics, construction, restaurant, insurance industries, and many other fields. Honorees were recognized for their accomplishment and significance to the state including $3.9 billion in combined annual revenue, and the number of jobs they provide to over 10,027 people around the state. As employment growth improves in many industries, the continued success of our community depends on the growth and vitality of our private-business sector. Recipients sharing this honor are the baseline for employment in New Mexico creating employment, providing opportunities, innovating in new technologies and helping our communities through charitable organizations. Presbyterian Hospital Downtown Children’s Center was the focal point for distributing Easter baskets as part of The 2015 Wells Fargo Annual Hops of Hope Basket Drive. This drive grew from just a handful of baskets in 2001 to over 5000 this year. 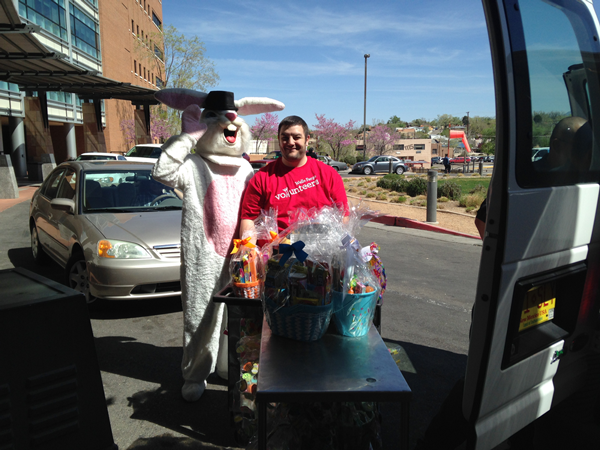 All of us at DMC Logistics express our sincere thanks to the Wells Fargo organization for including us again this year, and for providing such a wonderful contribution to the healthcare community. 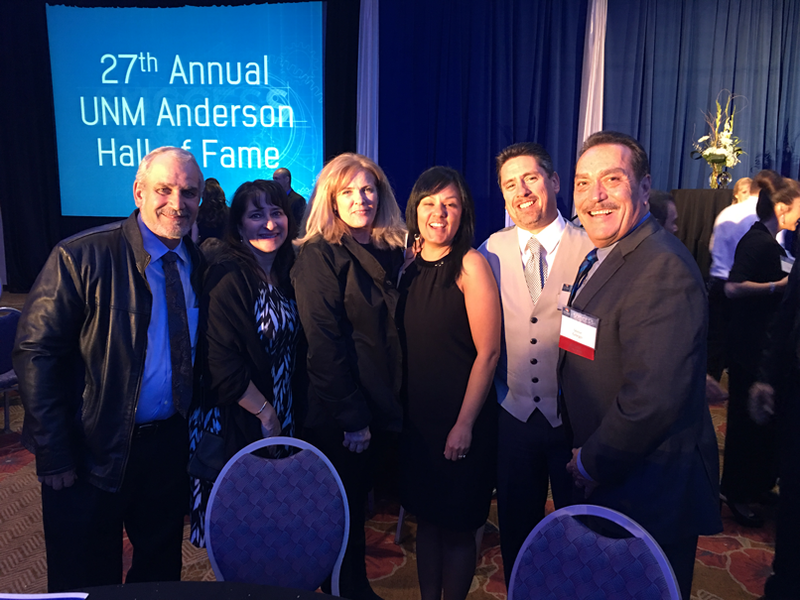 Members of DMC Logistics leadership team attended the 26th UNM Anderson Hall of Fame awards and banquet fundraiser on April 7, 2015. Our entire team thoroughly enjoyed the recognition of Hall of Fame inductees and the wonderful crowd this event attracts. 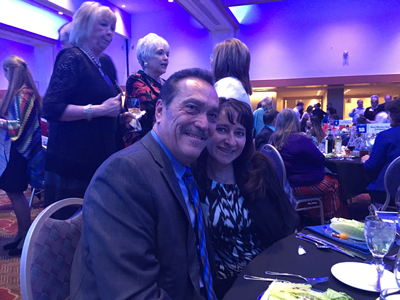 Pictured is DMC Logistics’ Steve Griego, President and CEO with Linda Parker. For the 12th year in a row, DMC Logistics played host to an incredible event that helps provide a week long summer camp, “Camp Sangre Valiente” for children with bleeding disorders living in New Mexico. Camp is provided at no cost to their families and provides education and support as well as fun activities for children and their siblings. All proceeds stay in New Mexico. DMC Logistics was in attendance at UNM Anderson Business School’s A Taste of Anderson event as a Chef de Cuisine Sponsor. 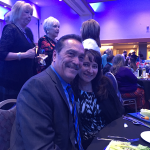 The event held on October 1st, 2015 at Hotel Albuquerque at Old Town showcases Albuquerque’s finest restaurants while raising funds for the marketing center at UNM. DMC Logistics was honored as a New Mexico Private Top 100 company at this year’s event held on October 19th. This year’s list – now in its 19th year – once again highlights the diverse nature of New Mexico’s privately held companies and represents $3.9 Billion in annual revenue and more than 10,027 jobs around the state of New Mexico. Bank of America Merrill Lynch, Moss Adams LLP, the Modrell Sperling law firm and the Albuquerque Jounal’s Business Outlook sponsored the event. “Leadership New Mexico Day” at the New Mexico State Legislature was celebrated Monday, January 25, 2016. This special day was proclaimed statewide as Leadership New Mexico Day by Governor Susana Martinez, seated holding proclamation. 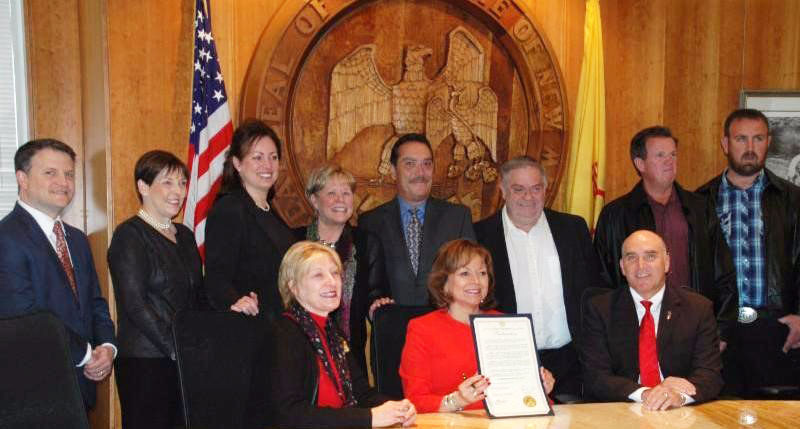 Leadership New Mexico alumni joined Governor Susana Martinez in the signing of the proclamation on the morning of January 25. Pictured standing 5th from left is Steve Griego, President/CEO DMC Logistics. The proclamation was commemorated with Memorials in both the New Mexico House of Representatives and the Senate. 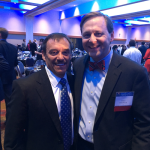 Steve Griego, President and CEO of DMC Logistics announced that the company is the recipient of the National Hemophilia Foundation Philanthropist Award for 2015. Awarded during the National Hemophilia Foundation Annual Conference, the company was recognized for the third consecutive year for its contributions to the New Mexico Chapter, Sangre de Oro Inc. The holder of the award has generously supported the long-term mission in enhancing the quality of life for people with Hemophilia and other bleeding disorders. Sangre de Oro, Inc. (SDO), held a very special event this August, the 12th Annual Sangre de Oro Caliente Classic 2015. 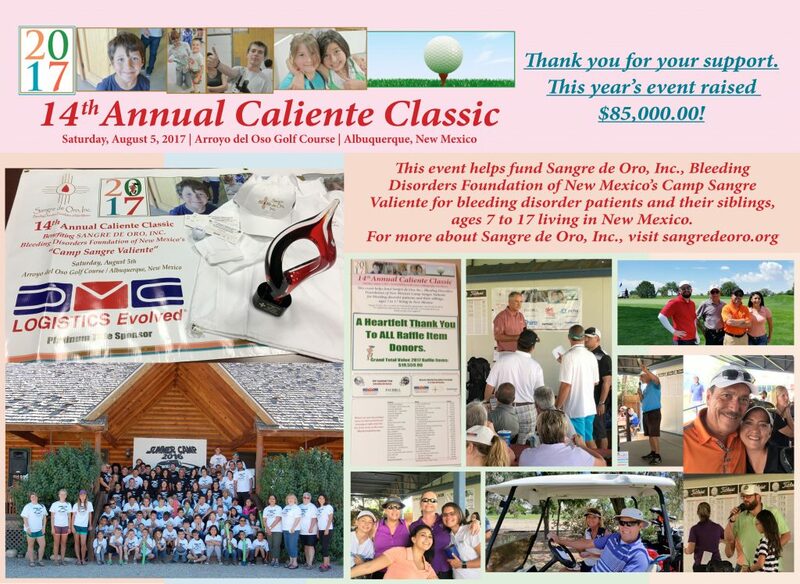 Held at Arroyo del Oso Golf Course, the event helps fund Camp Sangre Valiente for children with bleeding disorders living in New Mexico. 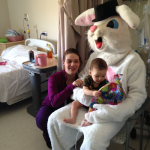 Camp Sangre Valiente is SDO’s annual New Mexico camp for bleeding disorder patients and their siblings, ages 7 to 17. Participants are able to enjoy camp life and learn about managing life with a bleeding disorder, including how to infuse themselves. 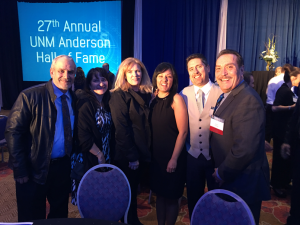 DMC Logistics supports 27th Annual UNM Anderson Hall of Fame Awards and Banquet Fundraiser. As a long supporter of UNM Anderson School of Management we are proud to support scholarship builders at UNM. Steve Griego, President and CEO of DMC Logistics is on the 2015-2016 Advancement Committee which planned this year’s event. Steve and Lydia Griego, and DMC Logistics also provided an extraordinary auction item package to attend a Dallas Cowboy’s game that includes privately chartered air transportation. Congratulations to all 2016 Hall of Fame honorees! DMC Logistics supports AED’s mission to help grow the economy. 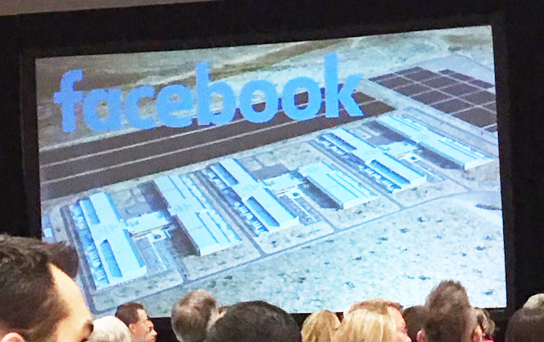 DMC Logistics, a Member Investor of AED was in attendance for the QIL held at the ABQ Convention Center. 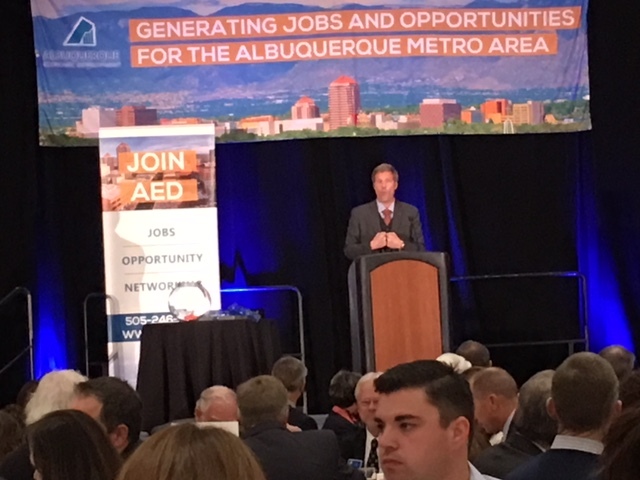 Dawn Bodenner, Direct Marketing Manager for DMC Logistics attended on behalf of the company in support of AED’s mission to grow the economy by recruiting businesses in the Albuquerque Metro area. AED serves as an umbrella organization to promote investment in Bernalillo, Sandoval, Torrance and Valencia Counties. Dramatic improvements to New Mexico’s business climate have repositioned the state as a place that must be considered when companies are looking for the best location to invest and grow their business. Keynote Speakers Greg Lanier with NORC at the University of Chicago, and Stephen Krasulick with Skorpios Technologies, Inc. both noted in their presentations to the group of over 550 attendees, that key to their selecting Albuquerque as a location for their respective businesses, is the positive business atmosphere and the people they found in ABQ. And the amazing weather! 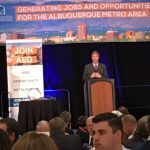 Thank you AED for all you do for Albuquerque and the State of New Mexico. DMC Logistics, a Member Investor of AED was in attendance for the QIL held at the Sandia resort and Cascino. Jeb H. Flemming, CEO and Chief Technology Officer of 3D Glass Solutions, and Andy Lim, President of AddMi, Inc. and co-founder of LAVU Inc., were keynote speakers. In addition, AED President Gary Tonjes provided an update about AED’s current recruitment and existing business activities, with all conditions looking very positive. 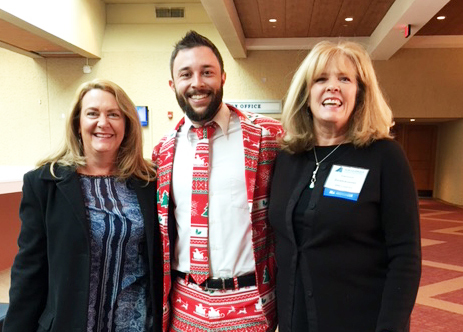 (AED’s Vice President, Debra Inman is pictured on the far right.) 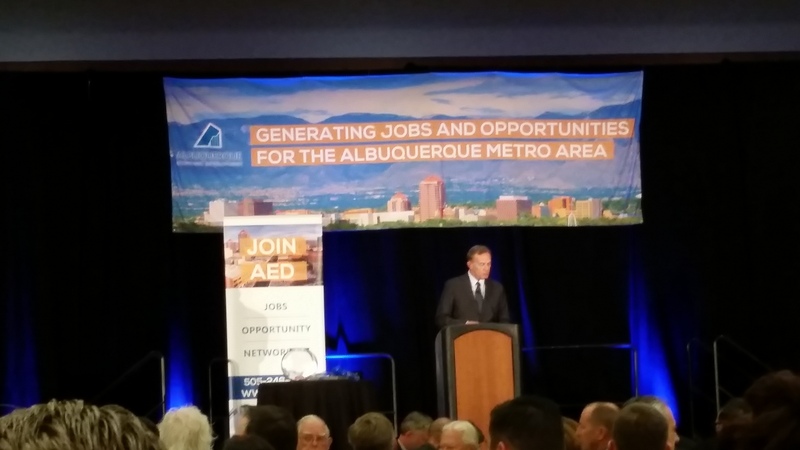 Dawn Bodenner, Direct Marketing Manager for DMC Logistics attended on behalf of the company in support of AED’s mission to grow the economy by recruiting businesses in the Albuquerque Metro area. 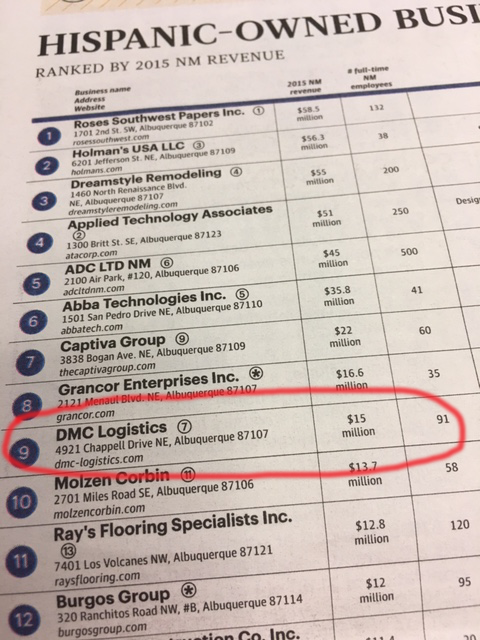 DMC Logistics recognized in a field of 50 companies ranked by revenue in New Mexico by the state’s largest business news source publication. 50 Largest Private Companies recognized in the survey generated $7 Billion in 2015 and have a combined total of 18,073 full-time employees working in New Mexico. Business description included CUSTOMIZED LOGISTICS and DELIVERY SERVICES for Same-Day, Next-Day, Multi-Day, Scheduled, On-Demand, Dedicated, Conjunctive, Routed, Pool point Distribution, Freight, Medical, Financial, White Glove, Courier, 3PL Partnership or a Combination of Teaming Opportunities. As January marked the company’s 30 Year Anniversary, DMC Logistics is positioned as a regional carrier well equipped to deal with challenges of the Southwest’s terrain, weather conditions and rural distance between service points. With dedicated line-hauls between key markets, the company’s primary hubs located in Albuquerque, Phoenix, Tucson, Salt Lake City and El Paso service customers throughout the region. All of us at DMC Logistics and air affiliate Aerolynx extend a special thanks to our dedicated teams, sponsors, and everyone associated with Sangre de Oro Inc., Bleeding Disorders Foundation of New Mexico’s golf committee members and volunteers who gave so much of themselves to make this event possible. 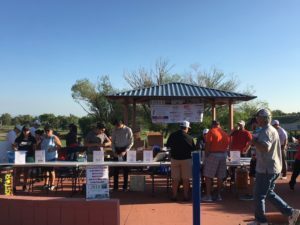 33 teams participated at Arroyo Del Oso Golf Course to raise funds and bring awareness to bleeding disorders and the local chapter that serves this community. This year’s event raised over $85,000.00 establishing this premier event as one of the most successful of its kind in Albuquerque. Proceeds from this year’s event fund a week-long summer camp (SDO’s Camp Sangre Valiente) for bleeding disorder patients and their siblings, ages 7 to 17 living in New Mexico. Camp is provided at no cost to participants and their families. 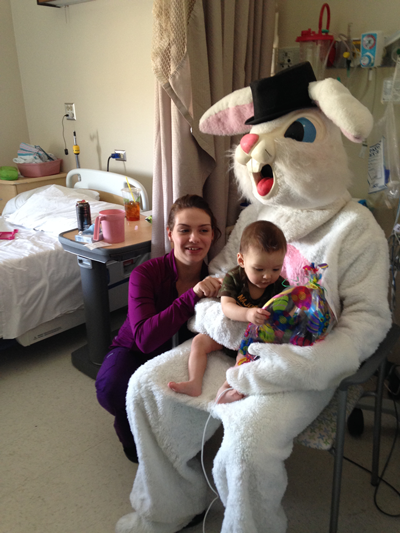 Through education and support as well as fun activities for children and their siblings, the event promotes teamwork and athleticism in a safe learning environment; many children gain independence by learning about infusion and how to self-infuse. SDO, a chapter of the National Hemophilia Foundation is the only organization in New Mexico for people with bleeding disorders. It is a non-profit 501(c)(3) organization that provides support, advocacy, education, and training for individuals and families affected by hemophilia or a similar disorder. SDO also provides services such as scholarships, family activities, and a consumer assistance program benefiting families with financial needs. All proceeds remain right here in New Mexico. 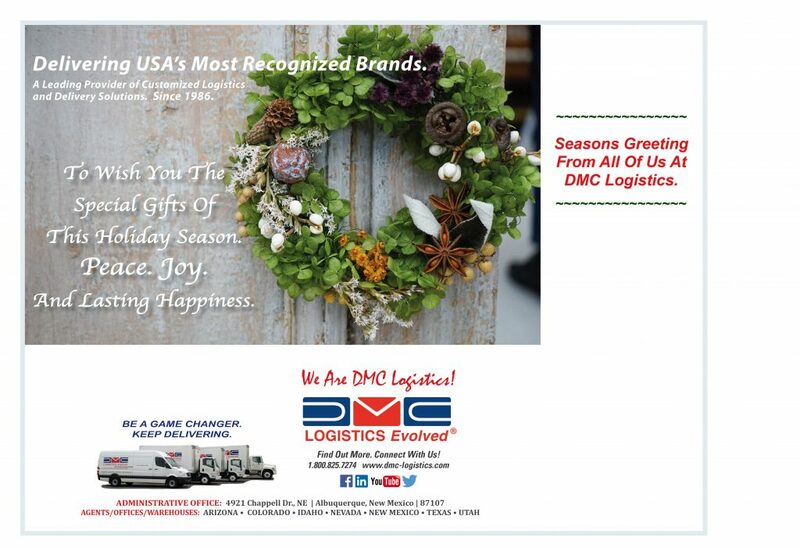 As title sponsor for this annual event, DMC Logistics appreciates your support and welcomes everyone to join us again next year! We’ll be in touch soon! 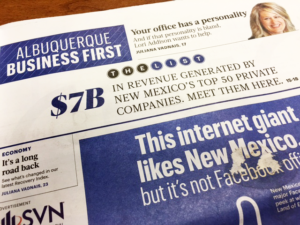 Albuquerque Business First, regarded as a leading media authority on business related news in New Mexico published its list for Hispanic-owned business ranked by revenue for 2015. 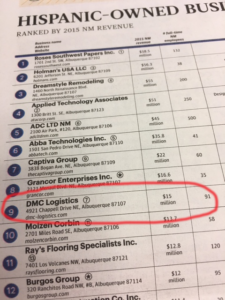 DMC Logistics ranks in at #9. Aggregate revenue total generated by Hispanic-owned business on the list reached $463M. Total number of companies on the list reported 2,285 full-time employees. DMC Logistics and air affiliate company Aerolynx were honored at The New Mexico Private 100 luncheon, recognizing privately held companies for their contribution to the economy of New Mexico by providing opportunities, employing 10,950 people, and for providing charitable contributions throughout the community. Sponsored by Moss Adams, Bank of America Merrill Lynch, Modrall Sperling Law Firm, and the Albuquerque Journal’s Business Outlook – recognition calls to attention the important contributions of private companies to the economy of New Mexico – generating $4 billion dollars in gross revenue last year. The luncheon provides a forum to honor those companies that have persevered and continued to prosper. This year’s honorees represent logistics, healthcare, restaurant, technology and many other fields. It’s worthwhile to note that DMC Logistics and Aerolynx team member efforts helped to achieve this recognition by servicing our customers throughout our network. On behalf of Steve Griego, President & CEO, all workforce members of DMC Logistics and our air affiliate AeroLynx, we thank all our customers for your continued support and business. DMC Logistics was in attendance to network and team with representatives in the film, media, and TV industry to include power players with Paramount, Warner Brothers, Lionsgate and others. 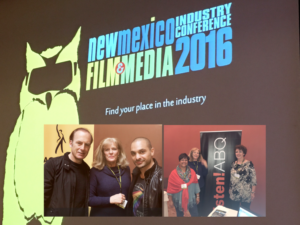 During panel breaks DMC’s Direct Marketing Manager, Dawn Bodenner had the opportunity to meet “Better Call Saul” actors Bob Odenkirk and Michael Mando. Lynn Marie Rusaw with the Albuquerque Film Office pictured with Liz Espinosa also enjoyed break-out sessions and meeting actors and movie makers that film in New Mexico. DMC Logistics understands the important impact of the industry on the economy in New Mexico; our air and ground network provides tremendous capability to help meet industry logistics deadlines and time-distance requirements. 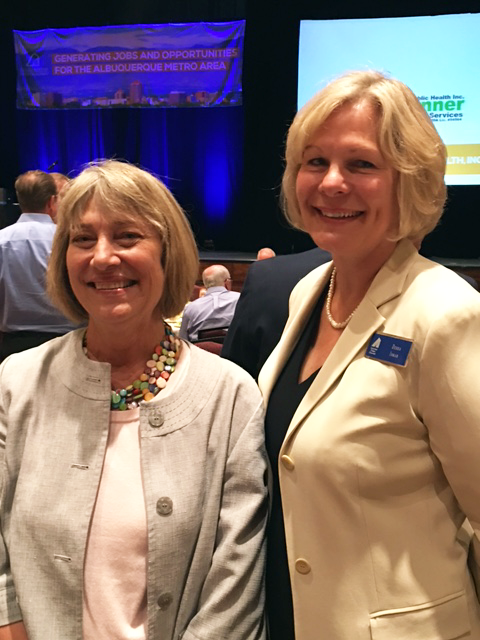 DMC Logistics was in attendance at ABQ Business First’s Grow New Mexico Economic Outlook, held this year at the ABQ Convention Center. Keynote speaker and panelists said this year’s economic outlook has plenty of positives. “The probability of a recession in the next six months is very low,” said national economist and keynote speaker Dr. Eugenio Aleman, Director and Senior Economist of Wells Fargo Securities (featured standing). Consumer confidence is up, enthusiasm paired with stable employment and strong growth in household disposable income should buoy national economic growth to 2.1 percent this year from 1.6 percent last year. Baby Boomers are affecting slow growth as they are the most productive of their generation; entry level and earlier stage workforce will need education and training to catch up. Also featured are Panelists Dr. Martin Hicky, CEO NM Health Exchange; Jami Grindatto, President and CEO/Sandoval Economic Alliance; Alexis J. 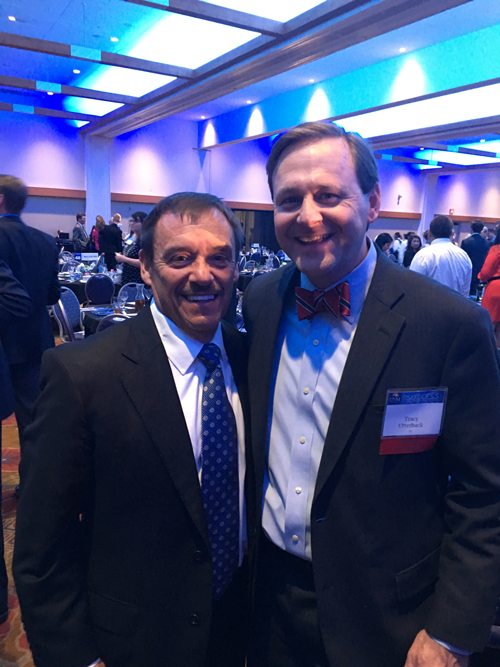 Street, who manages state government affairs for Chevron in Santa Fe; and Jose Garcia, GM/ABQ Convention Center. Hosting the event and panelist moderator is Candance Beeke, Publisher/ABQ Business First. DMC Logistics is a strong supporter of economic development through membership and participation with organizations whose missions support leadership and job growth. 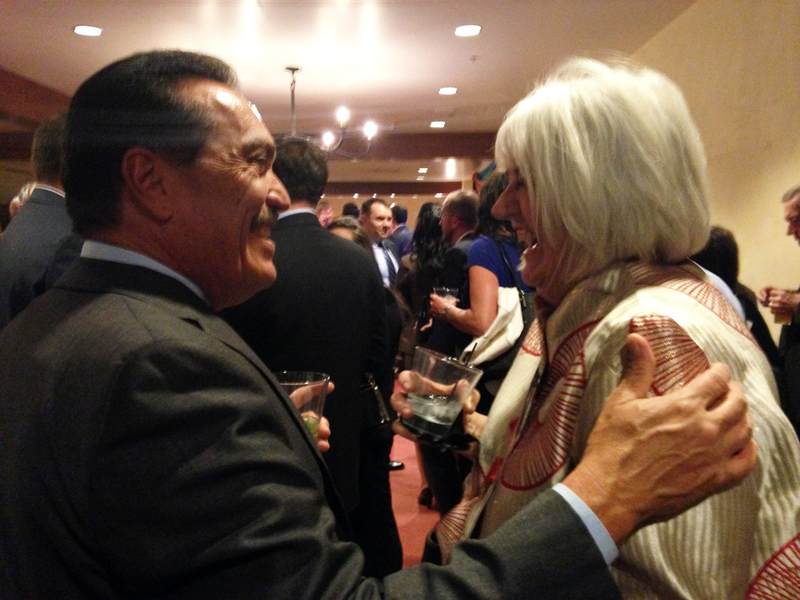 Nearly 300 people attended the Grow New Mexico Economic Outlook event. 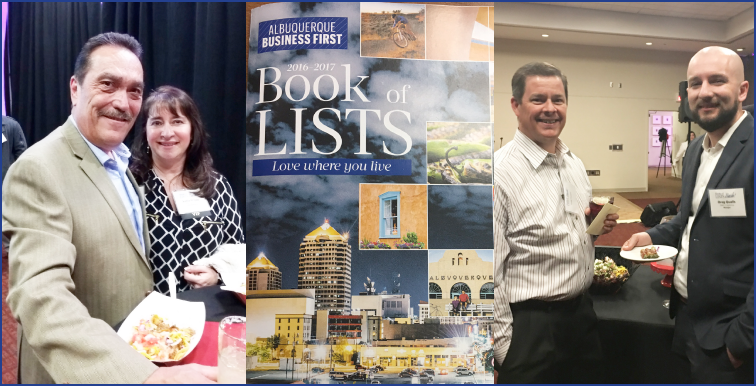 Sponsors were Wells Fargo, the city of Albuquerque and Jaynes Corp.
DMC Logistics enjoyed a night out at ABQ Business First’s Book of Lists Bash 2017 held this year at the Albuquerque Convention Center. The event recognized companies that made ABF lists in 2016, incorporating all entries into the 2017 Book of Lists publication. 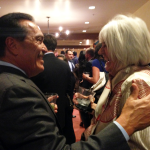 The theme “Love where you live,” was evident in the networking and wonderful food we experienced at this year’s event. This year’s book includes over 1200 companies and 1100 executives. Many of the companies and executives were new to the book this year, with former executives moving on to new positions or places, and new ones stepping in. And there is big money in this book: The Top 25 Private Companies alone reported $7 billion in revenue for 2015. DMC Logistics and affiliated company Aerolynx Air Charter both made this year’s book. Attending on behalf of the companies were Steve Griego/President & CEO; Lydia Griego/VP; Todd Parson/COO; Greg Qualls/Regional Account Manager; and Dawn Bodenner/Direct Marketing Manager. 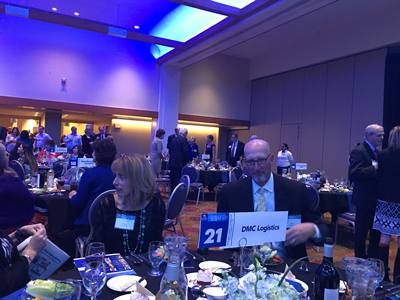 DMC Logistics’ executive and management team were on hand to honor this years’ Hall of Fame Inductees, Young Alumnis, and Faculty Community Leadership honorees held this year at the Albuquerque Convention Center. The event recognized the best of UNM Anderson alumni community while providing a live auction to benefit scholarship funds for Anderson students. Attending on behalf of DMC Logistics were Steve Griego/President & CEO (third from right); Todd Parson/COO (far left); Greg Qualls/Regional Account Manager (fourth from left); and Dawn Bodenner/Direct Marketing Manager (fifth from left). From all of us at DMC Logistics, congratulations to this year’s Hall of Fame honorees! DMC Logistics’ executive and management team participated at this year’s 2017 NMPhA 88th Annual Convention held at Isleta Resort and Convention Center. Attendees and Exhibitors at this event include DMC Logistics’ key pharmaceutical clients, and many of their customers to whom we provide service throughout our network. DMC Logistics has long been an active supporter of programs whose goals include helping families live healthier lives and whose organizations and programs help build our economy and support the quality and development of emerging community leaders. On Friday, DMC Logistics’ team played in the Pharmacy Wholesalers’ Invitational Golf Tournament. Players include Robert Chavez/IT Director, Greg Qualls /Regional Account Manager, and Drivers Chris Garcia and Cody Ashley. Funds raised from the golf tournament benefit the New Mexico Pharmaceutical Care Foundation and New Mexico Student Pharmacist’s Scholarship Fund. 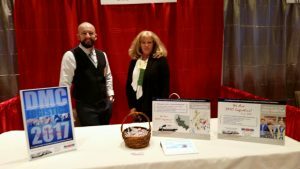 On Saturday, Greg and Dawn Bodenner/Direct Marketing Manager (pictured at exhibit booth) communicated the strength of our air + ground network and the value 31 years’ industry-specific expertise brings to our customers. It takes a company wide effort to ensure client requirements are met. Thanks to the entire DMC Logistics team for the service we provide to the wholesale pharmaceutical industry. 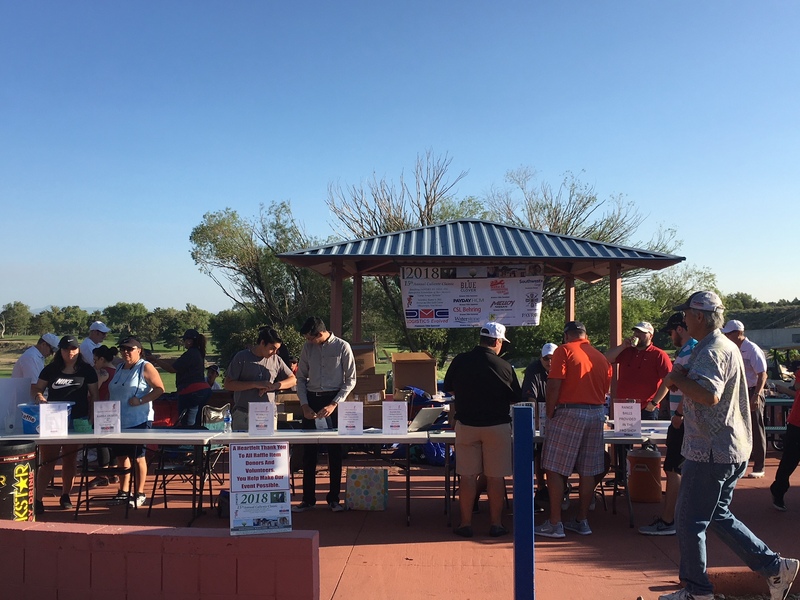 DMC Logistics’ executive and management team, and couriers participated and volunteered during this year’s 2017 14th Annual Caliente Classic held at Arroyo del Oso Golf Course. This year’s event surpassed previous years in raising $85,000.00 to fund a week-long summer camp, CAMP SANGRE VALIENTE for bleeding disorder patients and their siblings, ages 7 to 17 living in New Mexico. Sangre de Oro., Inc. (SDO), a chapter of the National Hemophilia Foundation and bleeding disorder foundation of New Mexico provides valuable information, materials, advocacy, and support to area families. SDO helps individuals and families to access appropriate healthcare, offer support groups, become involved in state-based issues, and provides financial assistance and other special services. SDO provides CAMP SANGRE VALIENTE for New Mexico children and families with bleeding disorders at no cost. DMC Logistics has long been an active supporter of programs whose goals include helping families live healthier lives and whose organizations and programs help build our economy and support the quality and development of emerging community leaders. A big thanks to DMC Logistics’ Steve Griego, President & CEO for support of the event in both time and resources. And a big shout out to Arroyo del Oso, the golf planning committee, and the many volunteers it takes to make the event a success. To all sponsors that contributed to the event – Thank You – this event is possible because of your contributions and participation. It takes a year’s planning to execute a Premier Event of this caliber. Please think of us next year! 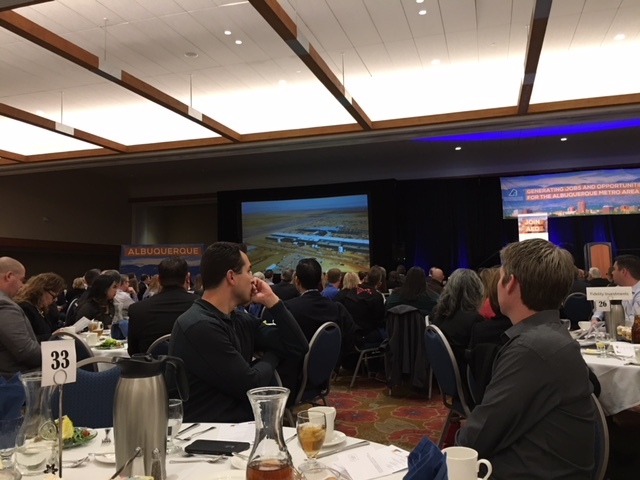 Albuquerque Economic Development’s Quarterly Inventors’ Luncheon held December 7th at the Albuquerque Convention Center provided an upbeat economic forecast for the community. 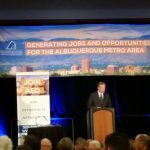 In addition to a welcome from ABQ’s new mayor, Tim Keller, the event featured companies that make a positive impact on the community by growing jobs. 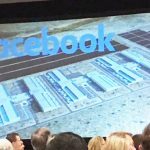 AED President Gary Tonjes recognized the additional construction expansion of FaceBook in Los Lunas and Keynote Speaker Mitch Coven, CEO Vitality Works hinted of greater thing to come via Amazon. DMC Logistics, an AED Member Investor was in attendance for the QIL. 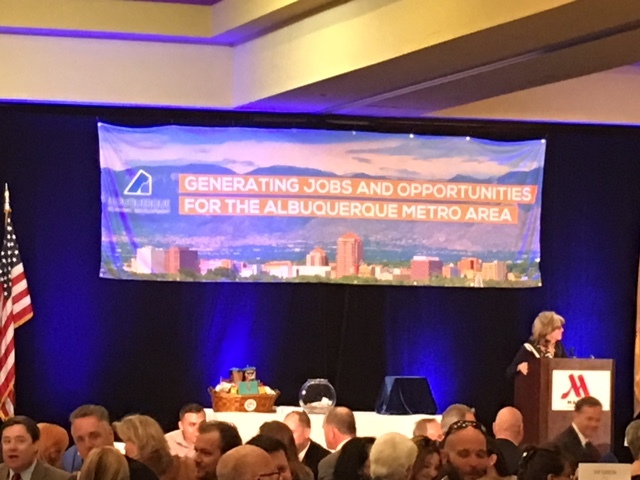 Dawn Bodenner, Direct Marketing Manager for DMC Logistics attended on behalf of the company in support of AED’s mission to grow the economy by recruiting businesses in the Albuquerque Metro area. AED serves as an umbrella organization to promote investment in Bernalillo, Sandoval, Torrance and Valencia Counties. Celebrating a season of good tidings and joy! Holiday Greetings To All Our Customers, Vendors, and Employees. 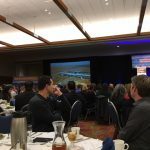 Albuquerque Economic Development’s Quarterly Inventors’ Luncheon held March 1st Albuquerque Marriott Pyramid North provided a positive look at new opportunity pipeline. AED President Gary Tonjes recognized the Connect To Success program and announced AED will attend the upcoming e-commerce trade show. DMC Logistics Phoenix Hub Moves to New Location. 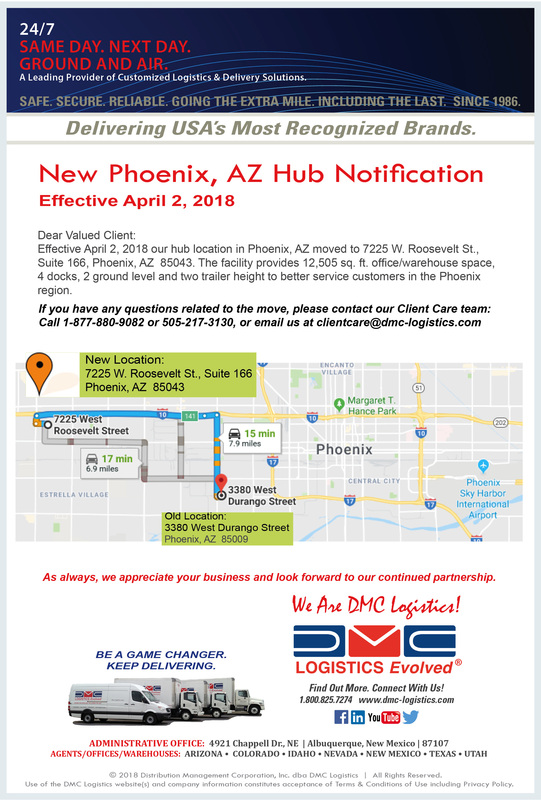 To better serve our clients, DMC Logistics’ Phoenix hub has moved providing 12,505 sq. ft. office/warehouse space and 4 docks – 2 ground level, two trailer height. The move also provides closer proximity to I-10. DMC Logistics Title Sponsor for 15th Consecutive Year | This Year’s Event Raised $44,845.00. As Title Sponsor for the 15th consecutive year, DMC Logistics participated and volunteered during this year’s 2018 Annual Caliente Classic held at Arroyo del Oso Golf Course. This year’s event raised $44,845.00 to fund a week-long summer camp, CAMP SANGRE VALIENTE for bleeding disorder patients and their siblings, ages 7 to 17 living in New Mexico. All proceeds stay in New Mexico. Sangre de Oro., Inc. (SDO), a chapter of the National Hemophilia Foundation and bleeding disorder foundation of New Mexico provides valuable information, materials, advocacy, and support to area families. SDO helps individuals and families to access appropriate healthcare, offer support groups, becomes involved in state-based issues, and provides financial assistance and other special services. SDO provides CAMP SANGRE VALIENTE for New Mexico children and families with bleeding disorders at no cost. DMC Logistics sends out a heartfelt “THANK YOU” to all sponsors and contributors – your support helps make this event happen. It takes a year’s planning to execute a Premier Event of this caliber. Please think of us next year!